Tampa is one of the major cities of Florida, located in Hillsborough County. It is on the west coast of Florida near the Gulf of Mexico. 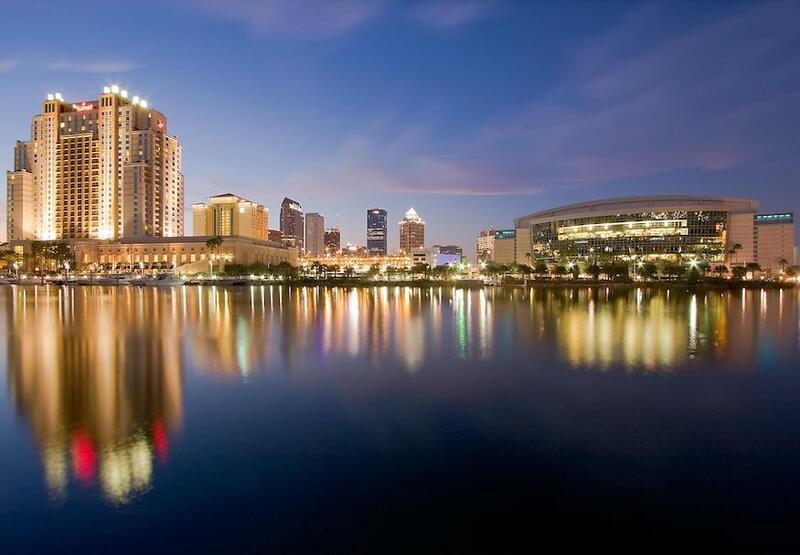 Tampa is part of the metropolitan area most commonly referred to as the “Tampa Bay Area” and is the largest city in the Tampa Bay Area. Tampa is part of the Tampa-St. Petersburg-Clearwater, Florida Metropolitan Statistical Area. It includes famous Clearwater Beach and renowned Tarpon Springs. The four-county area is composed of roughly 2.9 million residents, making it the second largest metropolitan statistical area in the state, and the fourth largest in the Southeastern United States, behind Miami, Washington, D.C., and Atlanta. Best Corporate Events gets to call Tampa it’s home with our corporate office located in this fun and vibrant area. We enjoy the year-round good weather and fun-filled events! So when your company is getting ready to choose their destination for the next corporate meeting or retreat, you might want to consider Tampa Bay. You could plan your meetings around notable events like Gasparilla, PirateFest or the Outback Bowl. You could spend the weekend catching some rays at TripAdvisor’s voted #1 beach in America, Clearwater Beach. Wherever your company may choose, Best is delighted to deliver a team building program that your group will never forget. Here are just a few of our favorite local venues that boast plentiful guest rooms, meeting space and great views! 1. Saddlebrook Resort features over 95,000 square feet of meeting and function space. This includes 34 breakout rooms and 15 stunning outdoor areas. We particularly love team building events at Saddlebrook because of the lush nature preserve and 9,600 square foot Super Pool Deck! The massive outdoors space makes the perfect venue for a Build-a-Raft Competition or Corporate Survivor. 2. Innisbrook Golf and Spa Resort offer 100,000 square feet of unique meeting space, four championship golf courses, and over 400 guest rooms! Best enjoys facilitating one of our SmartHunts at Innisbrook due to the unique layout spanning over 900 acres. Your group will love experiencing the outdoors. Participants will explore all that nature has to offer including different species of birds, trees, and squirrels! 3. Wyndham Grand Clearwater Beach is the latest addition to Clearwater Beach. It offers 22,000 square feet of meeting space hosting world-class events for companies from all over the US. Best works directly with the meeting and convention managers to design a perfect team building event for your guests. Whether your team is looking for a corporate workshop or charitable type of program, we lead the way in high-tech and fun programs! 4. Tampa Marriot Waterside is located along the scenic waterfront of Tampa Bay, adjacent to the Tampa Convention Center. This hotel provides impressive views of downtown Tampa. After your participants enjoy their delicious breakfast or lunch and before the meetings kick off, host a fun give-back team building program to benefit a local charity. Your group attendees will build long-last relationships while building bikes, wheelchairs or guitars to be donated to kids and seniors in need. 5. Busch Gardens, home to more than 300 species of animals. Busch Garden’s is Tampa’s largest zoo and might also be your next destination for your corporate meeting. Whether you are looking for an exclusive park buyout for 3,000 meeting attendees or meeting space for a smaller group, I bet you never knew that Busch Gardens could host your next event right alongside some exotic animals! Although Tampa is our home, we deliver team building programs anywhere in North America without travel cost. Thousands of companies, including 80 of the Fortune 100, trust Best to produce the perfect program for their group. Where will your company travel to next? We hope it’s Tampa!